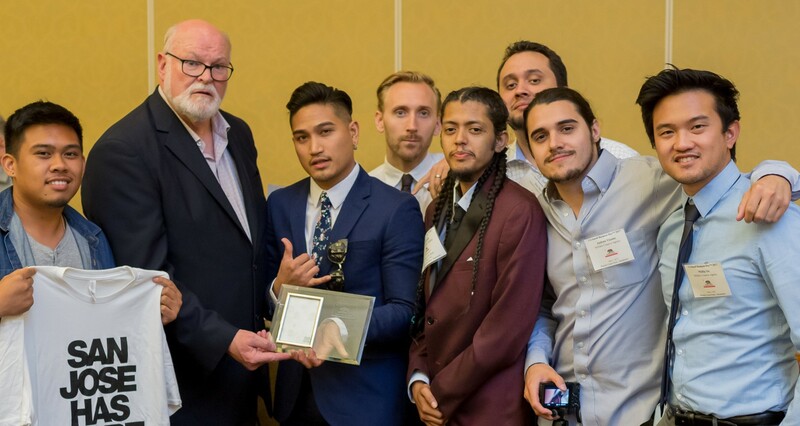 SACRAMENTO, CA ( June 5, 2017) — On Monday June 5th , NEEBA Agency was honored by Jim Beall at California Small Business Day™ as Silicon Valley’s Small Business of the Year. NEEBA Agency was celebrated for their hard work and dedication to the community. California Small Business Day honored 85 small businesses for their contribution to the state’s economy—75% of California’s gross state product and over half the the state’s private sector jobs. In spirit of the award, we’re offering discounted video and digital marketing services. If you’re interested in using video content to drive engagement for your organization, hit us up here. NEEBA started as a group of friends. As former educators, artists, and community organizers they were dedicated to using video to tell the stories of local heroes and nonprofits. Today, NEEBA uses traditional and immersive video to help Fortune 500 companies, Silicon Valley start-ups, and Madison Avenue agencies connect with their audiences in ways other content can’t. Despite their growth, they’re still committed to telling the stories of their community and making videos that inspire all the feels.